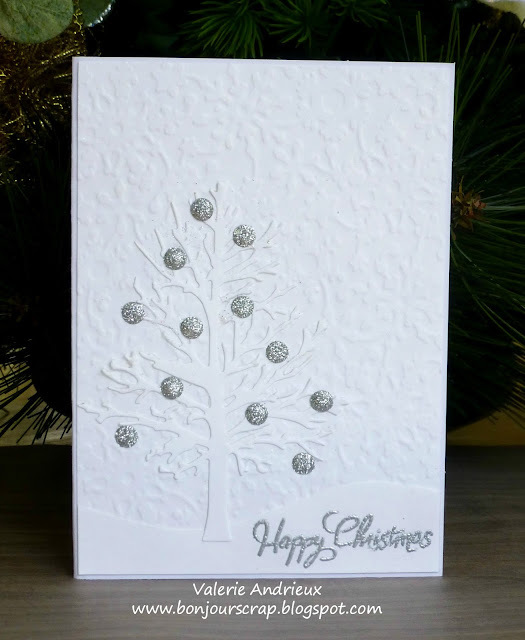 Background is white cardstock embossed with a Impressabilities snowflakes thin by Spellbinders. I think it's one of my husband favorite. Is it yours too ? As usual this month, I will see you tomorrow for another card. Thank you for your time and have a wonderful day ! This is a beautiful card! Totally reminds me of freshly fallen snow.